Invest in Futures is the largest fundraising event of The Prince’s Trust, generating vital funds to support thousands of young people into jobs, education or training. First set up in 2005, Invest in Futures has raised a life-changing figure of over £23 million. 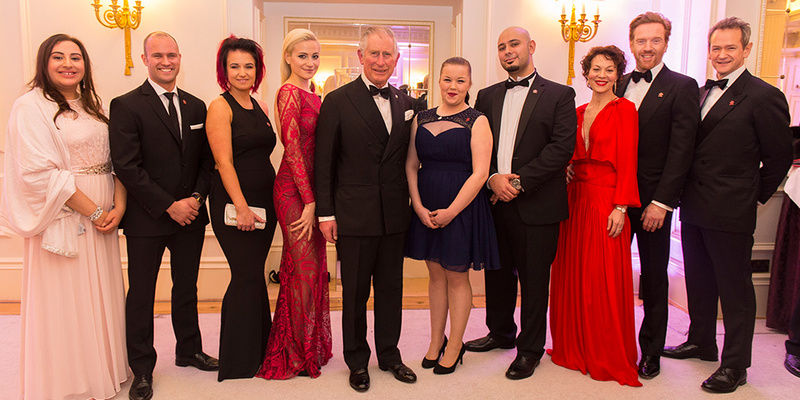 The Invest in Futures annual gala dinner is the principal fundraising event at The Prince’s Trust. Since its inception in 2005, this star-studded event has raised an astounding £23 million and has enabled The Trust to change the lives of over 22,000 young people. The evening offers an unparalleled opportunity to entertain friends and clients, while changing the lives of young people across UK. Each year sees an incredible group of philanthropists, supporters and Celebrity Ambassadors of The Trust come together for an evening of fundraising, celebration and entertainment. For the first time in 2019, Invest in Futures immersed guests into a world of storytelling and entertainment. Song, dance and dramatic stage pieces thrilled all in attendance as actors and our Young Ambassadors came together to highlight the challenging circumstances young people in this country are facing. Our fourteenth year raised a monumental £1.5 million allowing us to transform the lives of thousands more young people who need our support to live, learn and earn. For more information about Invest in Futures 2020 please contact Cressida Grant. Celebrity compères such as Michael McIntyre, Stephen Fry, Joanna Lumley OBE, Rob Brydon and Sir Ben Kingsley. Invest in Futures is organised by The Prince’s Trust and supported by a committee of influential financial services executives and other key supporters.